Replete with monsters, quests, and acts of bravery and containing touches of Christian and pagan symbolism, Beowulf stands as the precursor to medieval and Renaissance literature. It also influenced J.R.R. Tolkien and helped spawn the fantasy genre so popular today in literature and film. 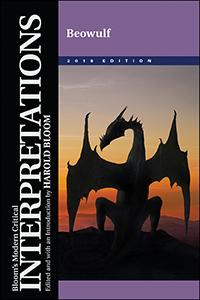 Arm students for immersion in the study of this mythic adventure with Bloom’s Modern Critical Interpretations. Newly updated, this volume includes full-length, interpretive essays that provide expert commentary on the classic epic poem as well as an introductory essay by noted literary scholar Harold Bloom.